Otto is involved in facilitation, coaching and training on various Executive and Senior Leadership and Management development programmes. He focuses on change management, team process, Personal Mastery and small group processes. He does Personal and Sports coaching as well as development, training and Motivation related to all sports areas. On a business level he Coaches and facilitate both nationally and internationally for Gordon Institute of Business Science, GIBS for the past 13 years on Leadership development at all levels, personal mastery, small group work, and enhancing strengths and development in leadership. He has facilitated and coaching internationally with UNICEF on their Leadership development programme, for a period of 4 years, through Gibs. Facilitated on various programmes with clients such as Anglo, Absa Private Bank, University of Pretoria, Sasol, Nedbank, KPMG, Deloittte, Barlow World, PWC, FNB, SARS, Concor, Murray& Roberts, Adcock Ingram, Public leadership programmes, Cell C, Standard Bank, Women's leadership development programme, Auditor General Robor, Department of Foreign Affairs, Telkom, Life Health Care, Netcare, MBA programme & Entrepreneurial MBA. He is in Private Practice at Monument Medicross involving in areas such as Individual Psychotherapy regarding the full spectrum of Clinical Disorders, couple/marital therapy, developmental psychology, trauma counselling, clinical assessments, career assessment and counselling, supervision, hospital in-patients, and Sports Psychology. 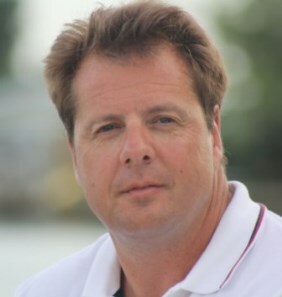 Otto has been an executive coach for the last 10 years, working with various companies. He has experience from junior management through to executive level locally and abroad. Otto runs a private practice focusing on all areas of business coaching and clinical psychology. This includes business and life coaching, individual psychotherapy, marital therapy, sport psychology, developmental psychology and executive assessments. Otto has many years of experience working with national and global organisations in facilitation, coaching and leadership and management development. He consults too many organisations regarding Training and Development interventions, leadership processes, team development and facilitates and coaches on many executive leadership and management growth programmes, change management and team development. Prior to this, Otto was head of Clinical Psychology at One Military Hospital and headed up the graduate internship programme. He was part of the University of Pretoria selection board in selected MA students for Clinical Psychology. Over the past twelve years he has coached and facilitated for GIBS both locally and internationally. Company's Otto is currently involved with are, Optima, Anglo American, Vodacom, Bidvest, Sasol, Pretoria University, SARS, FNB, Absa, Deloitte, KPMG, MTN, Murray & Roberts, Standard Bank, MBA programme, to name a few. He facilitates for various management and leadership executive development programmes. He is actively involved in Sports Psychology and rugby and athletics coaching at school level. Otto is often requested to do sports. Psychology (Clinical), Management of Private Practice for 17 years. Executive, Senior and Middle management coaching for national and global businesses. PDP Coaching – 12 years. Coaching at all management levels. Development coaching at all management levels. Otto has International coaching experience and has worked in the following countries: Singapore, Argentina, Croatia, Prague, Canada, United States of America, China, Panama, Kenya, Philippines, Hong Kong, Cambodia, Nepal, Bangladesh, India and Africa. Otto has great passion for people development, sport and individual growth. Otto himself is involved in sports coaching and psychology and has great interest in travelling, conservation and wild life, family, gym, athletics and building constructive leaders.